Q-Connect Drawing Pins Brass (Pack of 1200) KF02018Q - Norwich Office Supplies - Office Stationery and Furniture for Norfolk with Delivery to all of the UK. Get all your Computer Supplies, Print Consumables, Presentation Equipment, Paper, Desking & Seating Right Here! 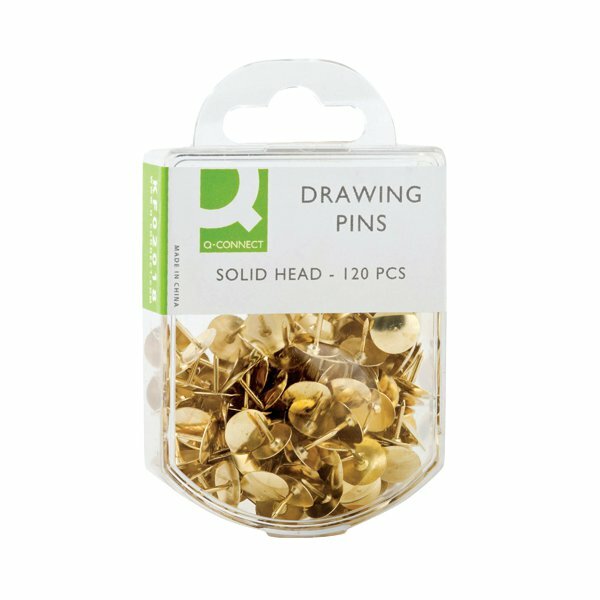 These drawing pins feature a durable, solid brass head and come in convenient hanging packs, which double as storage when the pins are not in use. This pack contains 10 boxes of 120 pins (1200 in total).